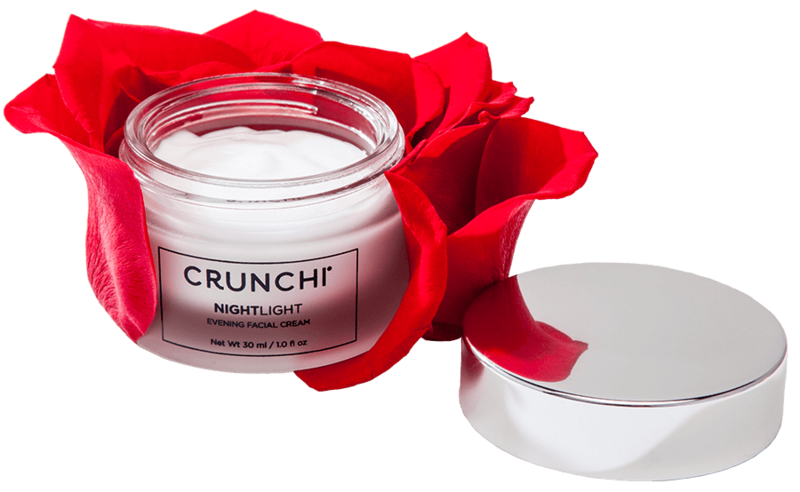 Powerful hibiscus flower acid in Nightlight works overnight to rejuvenate your skin. Wake up with fresh revived skin and a soft, radiant glow. "Nightlight has been a game changer in my nighttime skincare routine! 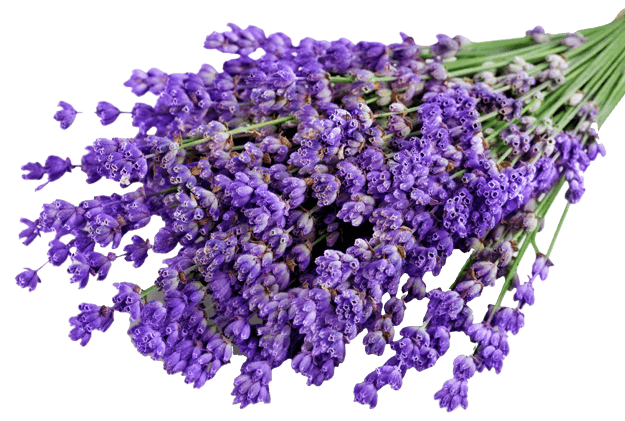 My skin immediately feels rejuvenated and the hint of fresh lavender is the perfect way to relax my mind and body before bed. My skin is happy, healthy, and glowing!" 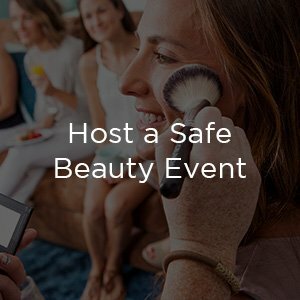 - Sara E.
Quality organic jojoba and argan oils infused with antioxidant-rich rose petals, ginkgo biloba, and sage, reduce the appearance of dull skin and protect against daily environmental stressors. The blend of organic lavender essential oil and hibiscus aromas create the perfect spa-like sensory experience to help you relax at the end of your day. 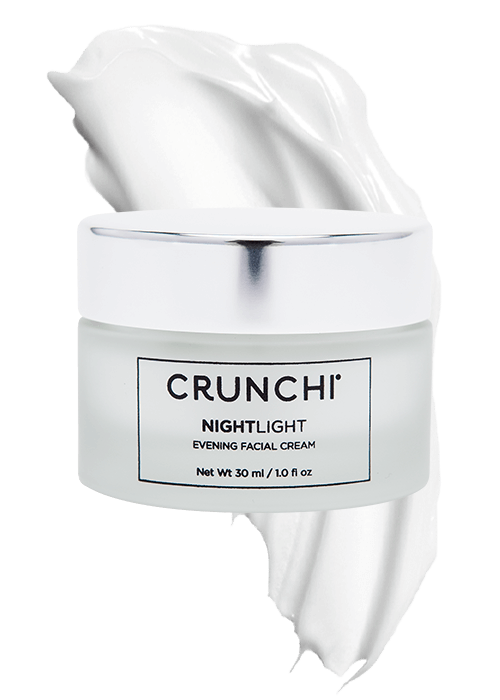 Nightlight Facial Cream is made with ingredients considered certifiably free of genetically modified material. A formula designed to set the stage for next day application of Crunchi’s Daylight, iconic Smart Primer, and Beautifully Flawless Foundation to result in pure complexion perfection. 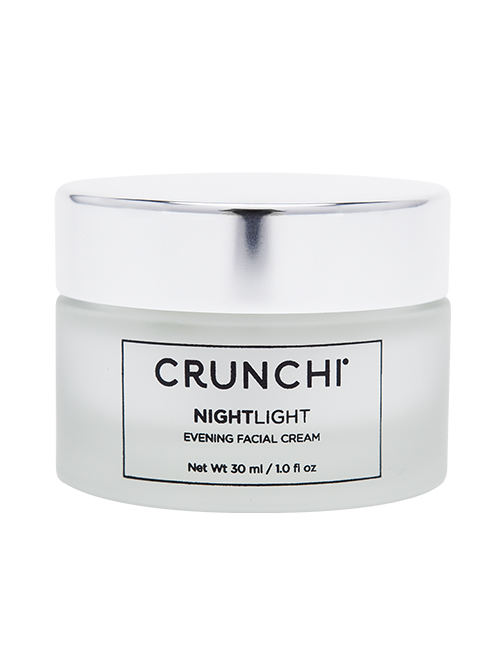 Crunchi Nightlight where have you been all my life!? Not only does my skin feel amazing after using Nightlight, the smell is addicting. I can’t get enough. Nightlight reminds me of a relaxing day at the spa. I love that is moisturizes my skin perfectly without feeling greasy and I love how my face and neck feel in the morning. Safe skin is in! 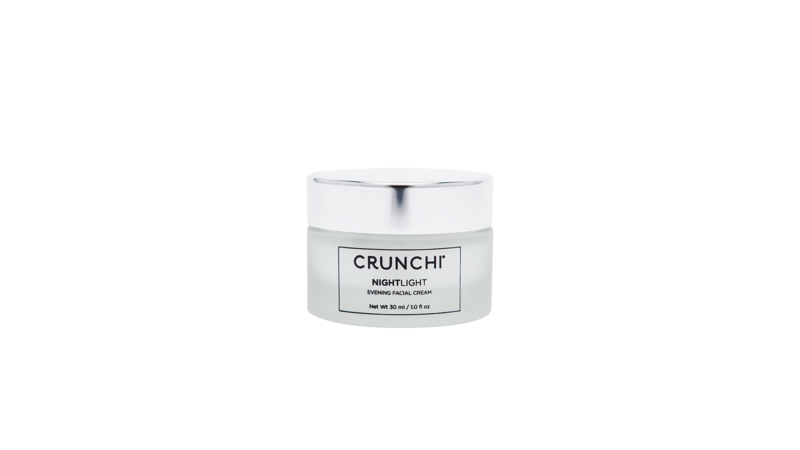 The powerful hibiscus flower acid in Crunchi Nightlight works all night to rejuvenate your skin. Wake up with fresh revived skin and a soft, radiant glow. 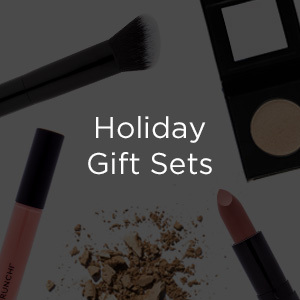 Quality organic jojoba and argan oils infused with antioxidant-rich rose petals, ginkgo biloba, and sage, reduce the appearance of dull skin and protect against daily environmental stressors. The blend of organic lavender essential oil and hibiscus aromas create the perfect spa-like sensory experience to help you relax at the end of your day. 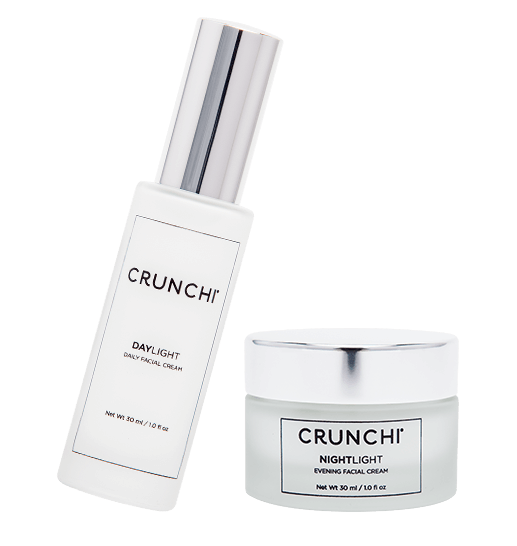 A formula designed to set the stage for next day application of Crunchi’s Daylight, iconic Smart Primer, and Beautifully Flawless Foundation to result in pure complexion perfection. Apply to freshly cleansed face, neck and décolleté each night. Great for all skin types. This incredible moisturizer is not just for women; men need safe skin too!